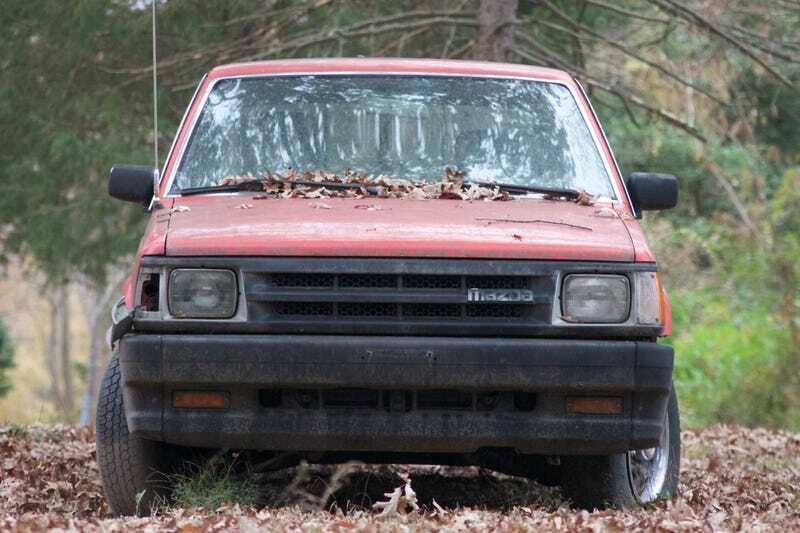 My sad piece of machinery is a 1990 Mazda B2200. I bought it for $1200 off the side of the road a few months ago and it’s been sitting in my front yard ever since. I’m still not sure what’s wrong with it but maybe I’ll get to it soon. Do cars have feelings and are they capable of sadness? If so, I think my poor little Mazda truck would be pretty sad. In fact, I think I’m going to order that missing turn signal light today. Show us the cars that invoke a feeling of empathy in your inner mechanic. How Do You Protect Your Cars? What&apos;s Your Boring Dream Car? Lance Tedford spends his energies working on his 1985 Chrysler LeBaron. He is extremely tall and can never die. The Buick Roadmaster proves that the rear-wheel drive wagon we desire was in our hearts all along.